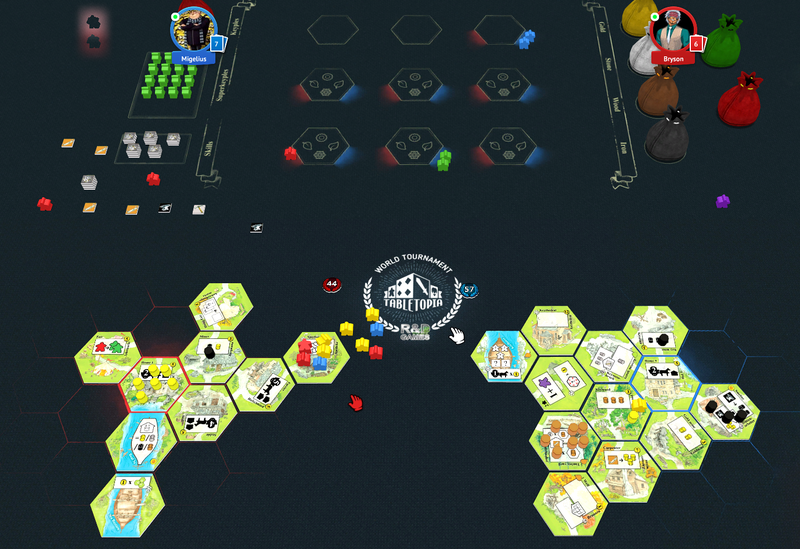 The First Official International Online Keyflower Tournament on Tabletopia is now over! 64 people from over 20 countries and almost all continents (except Africa and Antarctica :)) took part in the competition, and now the Ultimate Champion was decided. Congratulations to Mikhail Gavrikov (aka Migelius) from Kazakhstan, who wins a copy of Keyflower autographed by the authors and an opportunity to play the game online with Sebastian Bleasedale, the co-author of the game. By the way, Mikhail also holds the record for the max points scored—95! All quarter-finalists will receive a 6 month premium Tabletopia subscription. Congrats, KP (USA), Bryson (CAN), rngesus.wept (USA), scottdawn1 (USA), Swivel (BRA), TheGoodTheBadAndTheMeeple (FRA), flashvoyagergtr (RUS)! The record of the epic final struggle is available on YouTube, as well as the videos of the two semi-finals (see links below). Thanks for participation, Tabletopians! And a special thanks to our judges and streamers: Bibr, Martin and Ayatsuru. Happy gaming, and see you at the table!